This is the terrific cover by the good folks at my publisher, Vagabondage Press. Here’s the pre-order link on Amazon for the ebook. I’ll post the links to all the paper and ebook outlets later. Tagline: The reincarnated souls of King Arthur, Merlin, and an anxiety-ridden priestess return to save Britain after a devastating nuclear attack, only to find an old foe: Morgaine. After a nuclear attack on London that heralds The Time Foretold, Ava Cerdwin, the anxiety-ridden high priestess in charge of fulfilling a 1500 year old prophesy, must assist the heirs of King Arthur and Merlin in healing the devastated country. The descendants of Britain’s great men of legend have kept the myths and relics for 61 generations, but no one is quite clear on what they must do next. Nothing goes as planned: Ava falls for the wrong heir, the panic attacks are getting worse, the complex obligations of reincarnation are straining old relationships, and Morgaine and her henchwomen are trying to kill them. Somehow, some way, Ava has to make the Healing happen, or Britain is finished. 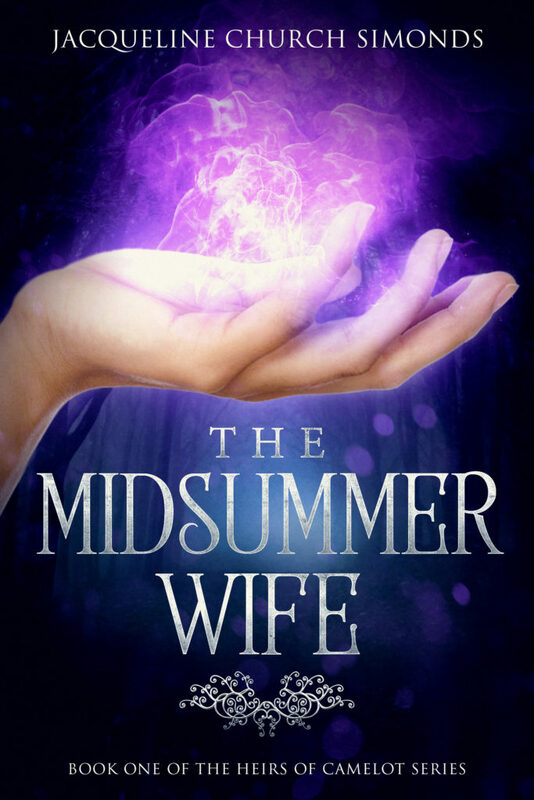 The Midsummer Wife, Book One of the Heirs to Camelot is an Urban Fantasy that combines Arthurian lore, love, and a race to a breathtaking finish. See the storyboard for it on Pinterest.